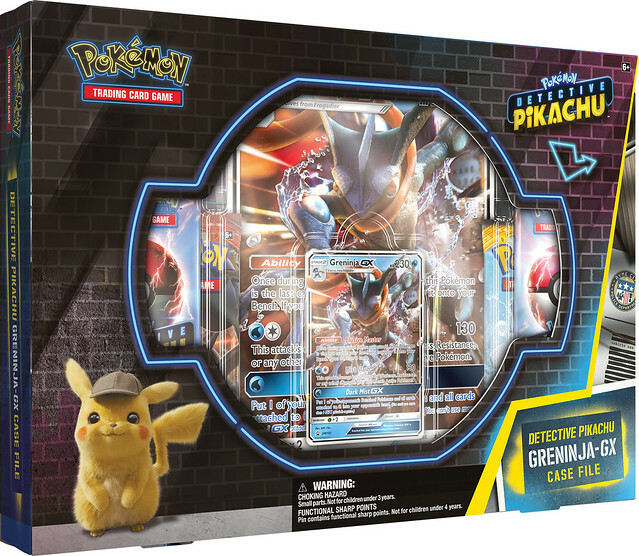 Today, Pokémon Trading Card Game players and fans eagerly anticipating the upcoming movie “POKÉMON Detective Pikachu” will be able to pick up a special Pokémon TCG expansion and more products from The Pokémon Company International celebrating the first live-action Pokémon movie. 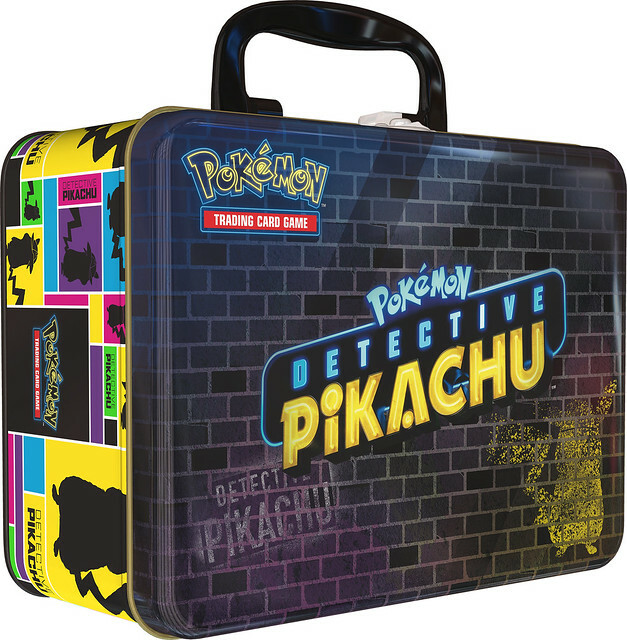 The Pokémon TCG: Detective Pikachu expansion features newly designed packaging based on the look and feel of Ryme City, with special collections containing 4-card booster packs. 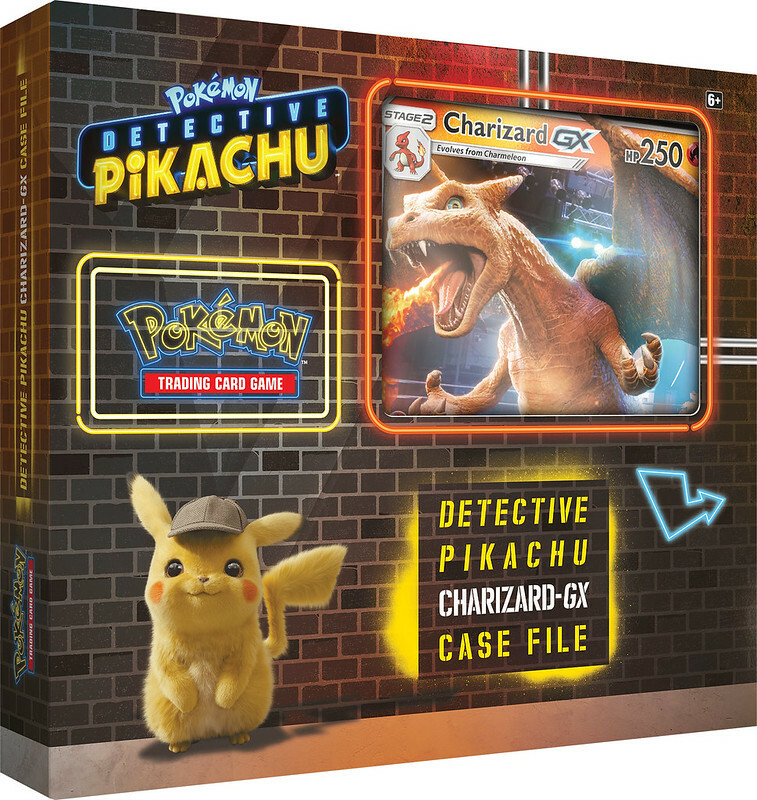 In all, 22 new cards can be found in the collections listed below, with Pokémon such as Detective Pikachu and Charizard depicted in CGI as seen in the movie. An additional five cards will be available as part of special promotions or other products, and fans can learn how to acquire them via a helpful guide on Pokemon.com. 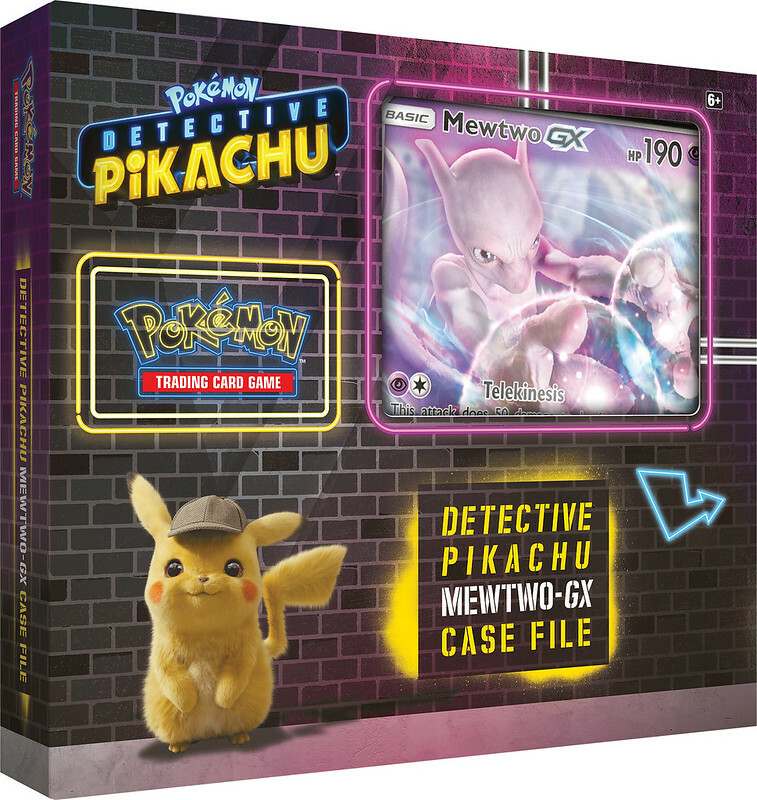 Pokémon TCG: Detective Pikachu Mewtwo-GX Case File—Contains one foil promo card and one foil oversize card featuring Mewtwo-GX, four Detective Pikachu booster packs, and two additional Pokémon TCG booster packs. 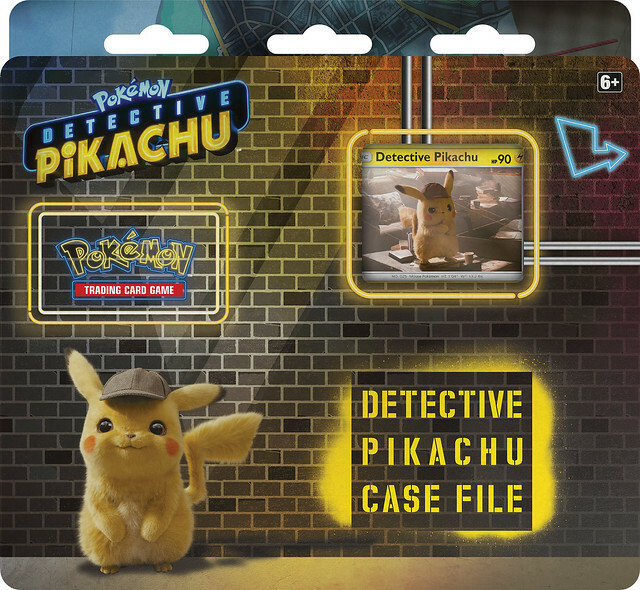 Exclusive merchandise for “POKÉMON Detective Pikachu” is also now available on PokemonCenter.com, the premiere destination for Pokémon fans in the US. 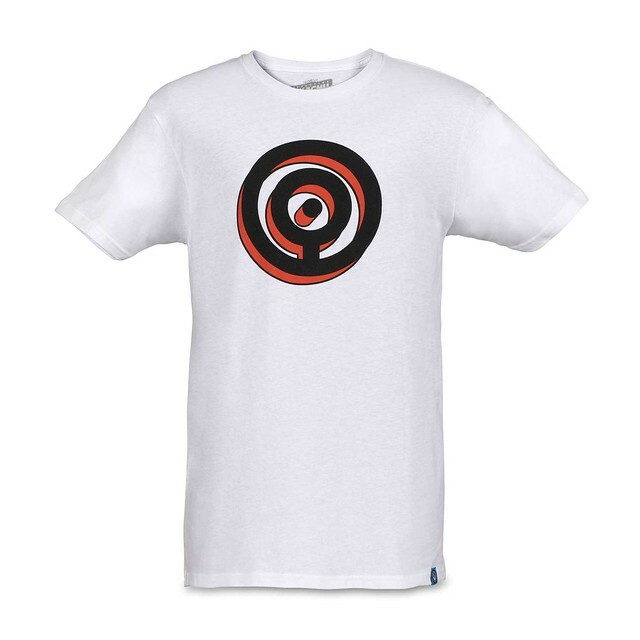 In addition to previously revealed apparel celebrating key settings and themes in the movie—such as the Hi-Hat Cafe—fans can get their own Unown T-shirt similar to the one worn by actor Justice Smith in the movie and as seen in the most recent trailer. 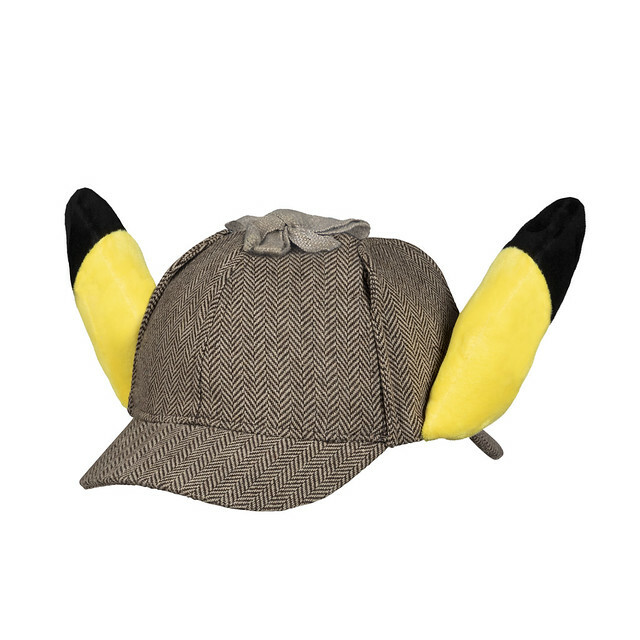 Two versions are available: Unown O and Unown H.
Detective Pikachu Plush Ears Hat—Fans can roleplay as Detective Pikachu with this premium-quality, tweed deerstalker hat with plush Pikachu ears. 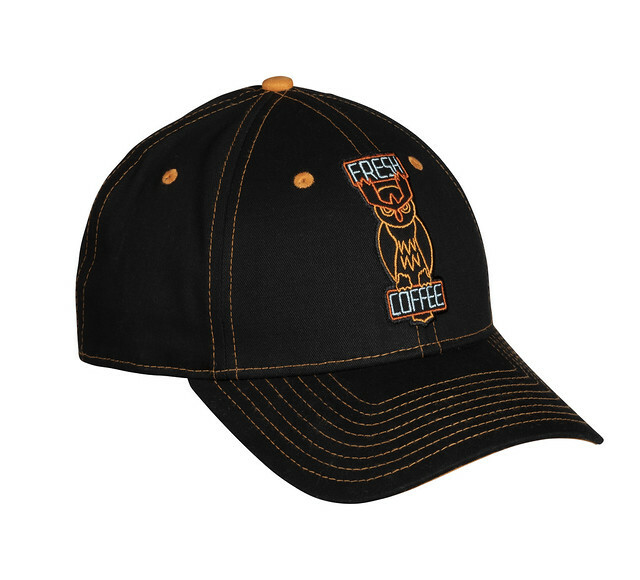 Hi-Hat Cafe Apparel and Accessories—Nodding to one of the most iconic locations in “POKÉMON Detective Pikachu,” this collection offers various items donning the Hi-Hat Cafe’s unique logo, including T-shirts, a hoodie, diner mug, and 9FORTY baseball cap by New Era. Ryme City 10-Year Anniversary Parade Apparel—Celebrating the 10-year anniversary of Ryme City as shown in the movie, this collection offers themed T-shirts for adults and youth. Pin Set, Patch Set, Sticker Set, and Tin Signs—A variety of pins, patches, stickers, and tin signs featuring popular icons from the movie are available. Meet the 2018 Pokémon North America International Champions!